Covenant Construction (a Division of Covenant Homes Inc.) has been in business for 25 years. We are proud to have won "Best Renovator/Contractor in London, Ontario" for this year 2017, 2016 and in 2014. We love what we do and love working London Ontario area with diligence, integrity and pride in workmanship. Craig is now the past chair of the Board for the Southwestern Ontario BBB, so we mean it when we say our reputation is everything to us. We are a design-build firm with our own licensed carpenters and designers (architectural and interior) on staff- 24 in total! Look to us for all of your Residential Renovations, Home Additions, Custom Homes, Kitchen Renovations, Kitchen Remodels, and Commercial Work. President, Craig Hardy has been a licensed carpenter for over 20 years. As the leader of this company, he is the visionary and holds every staff member to the highest standard. Committed to business integrity and concerned for consumers in London, Craig is the Chairman of the board with the BBB and devotes many hours to this cause. Covenant Construction is honoured to be a past winner of the BBB Business Integrity. Craig fosters continuous education, green building and the science of building and he has always stayed ahead of the building curve. With certification in LEED, the Green Renovator, LEEP (Londons Energy Efficiency Program), and Tarion Building, Craig has been a speaker across Ontario as an expert in renovations. Craigs’ most famous line is “Houses hide their secrets well- but after 25 years in the business we know how to deal with all of them." As a family run business, Kitchens Alive can take a personal interest in building the most important room found in your home.... the kitchen. 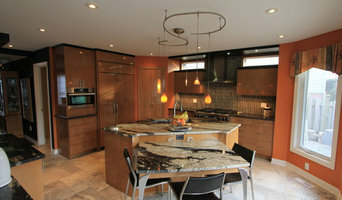 Because we only use Canadian manufacturers that build the highest quality cabinets we can guarantee your satisfaction. 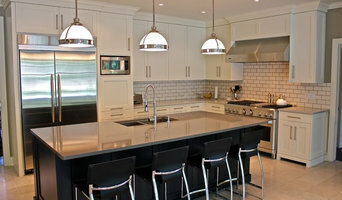 The Kitchens Alive Advantage: - Creative | Using our talented designers we can create a kitchen for you that is one of a kind...uniquely yours. - Experience | With our 20 years of experience, let us bring your kitchen together smoothly avoiding the pitfalls. - Quality | By using only the finest cabinet suppliers combined with our installers who are licensed cabinetmakers, quality is the only end result. - Price | Quality does not have to cost more! Controlling the cost of our overheads leads to reasonable pricing for our customers...Let us give you a quote and prove it. 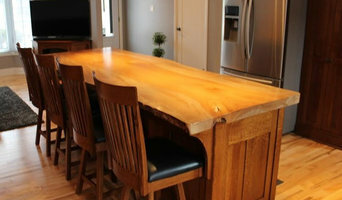 This Oak House is a family owned Canadian company that offers a large selection of beautiful solid wood furniture. With low overhead and "no middleman", This Oak House Handcrafted offers the lowest pricing available on Amish crafted furniture made from solid oak, cherry, maple, quarter sawn white oak, elm, walnut, hickory and more. Choose among furniture carried in stock, design your own built-to-measure furniture, or select custom pieces. All furniture at TOH Handcrafted is finished using the finest stains and catalized varnish which withstand moisture and protect the surface of your furniture for many years. With the TOH Handcrafted lifetime warranty against defects and workmanship, you can be confident that your furniture will last a lifetime! In addition, as a member of the Better Business Bureau since 1998, you can be sure that their A+ rating means that you will always get prompt, professional and knowledgeable service. TOH Handcrafted is located north of London in southwestern Ontario. Situated less than two hours from Toronto, the Greater Toronto Area (GTA), Hamilton and Windsor, one hour from Kitchener, Waterloo and Sarnia, their fantastic pricing makes it worth taking the drive. Woody’s Premium Cabinetry is a leader in custom design, manufacturing, and millwork. From concept to custom-finishing, our award-winning team is committed to maintaining your vision while ensuring the highest standard of quality, service, and care. We offer the highest caliber in finishes in the industry on handcrafted furniture-quality cabinetry. We ensure an attention to detail that further strengthens our bond to London’s premiere home builders and suppliers. Our exceptional designers work closely with a team of skilled artisans to deliver a finished product that further diversifies and raises the bar of what this market has to offer. Contact us to schedule a one-on-one design consultation today. Oak Barrel is a custom cabinetry shop that aims to provide the best quality united with a tailored design. We are concerned with your satisfaction not only tomorrow but years later. We use materials that are both healthy and eco-friendly. We ask you questions and examine each situation as its own case. Oak Barrel has been voted the Best in Chatham Kent for two years running now. Our results speak for themselves. Nicola's GARDEN ART creates beautiful landscape environments for our clients residing in London Ontario and surrounding areas. As a full service landscaping company, we provide the many construction projects needed, from pergolas to patios, privacy fences and ponds. Our team is committed to the integrity of the design, to complete the work on schedule, within your budget. Landscape Design Front or Back Garden Plans $500 to $2,000. Natural Stone Patio Gardens $5,000 to $150,000. Custom made Gates, Pergolas, Fences, Arbours, Decks $ 3,000 to $50,000. Front Garden Installation $5,000 to $ 50,000. Fire Features $2,500 to $20,000. Landscape Lighting $1,500 to $5,000.00. Natural Ponds $5,000 to $50,000. These are estimates based on experience and past projects. Your actual costs may vary depending budget and materials. Plant material is selected for its beauty, form and year round interest in the garden. From ornamental flowering trees, dwarf evergreen conifers to perennials and formal hedging; all work together in the landscape to form the canopy and understory. Our business is based on a foundation of excellence in creative landscape design, knowledge of plants, construction techniques and dedication to customer service. Contact us for a consultation today. 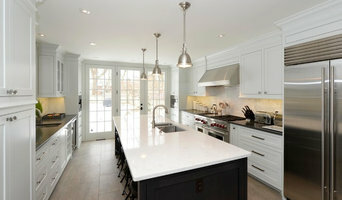 Specializing in Kitchen and Bath Renovations, Basement Re-modelling and General Construction and Design, FMG Contracting has the expertise to get the job done right the first time. With 20 years of business management experience and 30 years of customer service expertise, Chad McKone and the FMG team are working hard to change the face of contracting as you know it. There are many good contractors in and around London; however, there are few that share the same passion as we do when it comes to our customers. In fact, it’s our value added service that’s been the foundation for our growth in this industry and continues to make us stand out against our competition. Whether you are looking at a major renovation or just updating your home or rental property, FMG Contracting has the expertise to help make your next project a success. We are top tradespeople, meticulously trained to be extremely customer-focused and ensuring that each contractor is able to provide the highest level of service and expertise to clients. When you hire FMG Contracting for your renovation project, you can rest assured our commitment to quality, integrity and service will be reflected in our work. Backyard Escape Studios create practical home solutions by designing and building an entire room for you in your backyard, providing you with the additional space you’ve been craving for that productive home office, creative art or hobby room, soundproof music studio, fitness or yoga room, or even a private place for overnight guests. Whatever your dream room may be, we can create it. Duo Building Ltd. is celebrating 40 years in business. What started as a small general contractor, grew to become an award-winning full service design/build company. We are proud of our long list of satisfied customers and glowing referrals. Our practical but imaginative design, and our dedication to quality and service give you peace of mind before and after you renovate. We are committed to being a leader in design and build renovations. We work closely with you to create custom designs to suit you individual tastes and lifestyle. We provide a team of dedicated professionals who care for the quality and delivery of all the components of every job. Duo represents quality through experience and dedication to the customer. But before you start sending out dozens of emails and making phone calls, sit down and think about your project. What's your budget? What is the scope of your project? Will you need more than one type of professional to complete your home improvement project in London, ON? Can you afford to complete the full project now, or should you tackle it bit by bit? Once you've settled on your project’s priorities, budget and scope, it's time to start researching London, ON home design professionals. Don't sell yourself short and settle on the first professional you set your sights on. Make sure that you're working with someone local, who can get to the jobsite easily and efficiently. Look into the person’s reviews, ask to speak with former clients and to see previous jobs in person. Take a good look at their portfolio photos: How similar are these projects to your own? Be honest — that mansion might look beautiful, but it might not have a lot in common with your little bungalow. Reach out to multiple professionals — especially for larger projects — and don't settle for the first bid you hear. Comparing multiple London, ON professionals' bids and experiences can help you find the one that’s best for you. Ask a lot of questions now, so you won't have unexpected answers later. Find a home design professional on Houzz. Narrow down your search by type of professional and location. Browse London, ON portfolio photos, read client reviews and contact each London, ON professional for more information. Check out the information in the specialized professional sections too for tips on how to hire the right professional for your project.